Whenever you engage in a specific activity regularly, there’s this inevitable thing that happens–you start to feel stagnant. This happens with any creative work, from writing to making music to taking photographs to sketchnoting. You’re just not quite as excited about that thing as you used to be. And that lack of excitement and energy can mean that you get less out of it, becoming less valuable than it used to be. So what can you do about that stagnancy? That’s the question that we’re going to explore today. What I do here is teach the skill of sketchnoting–how to incorporate more hand-drawn visuals and diagrams into your note-taking process. And while that’s the lens through which I’ll be exploring this question of what to do when your creative work starts to feel stagnant, I think that the ideas I’m about to share are relevant to any creative work, like the other fields that I mentioned earlier–writing, making music, or taking photographs. In all of those fields if you use the same process over and over again, even if that process once worked great for you, eventually it might start to feel boring and the stagnancy sets in. So let’s look at some ways to fix that situation. For me it’s an interesting time to be addressing this question, because it happens to fit well with the main theme of a book that I’m currently reading – Lila by Robert Pirsig. That book is the follow-up to his massively successful first book Zen and the Art of Motorcycle Maintenance, which I read a handful of years ago. The core idea that is explored throughout Lila is the distinction between static quality and dynamic quality, and that viewing any experience or event through that lens first, the lens of static and dynamic quality, is actually the most useful starting point. 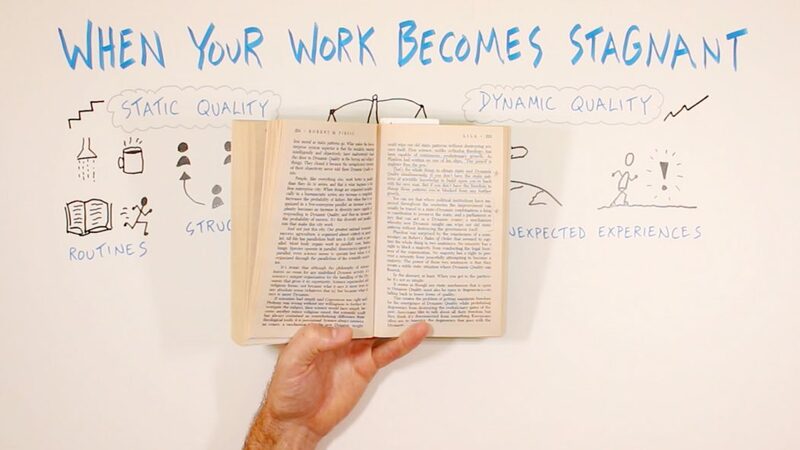 Static quality refers to those helpful constants and foundational things in life, like a solid morning routine that’s the same every day or an organizational structure at work that helps a group of people make progress toward a common goal. Dynamic quality refers the helpful variations in life, like how good it feels to go on vacation and visit places you’ve never seen before or when something unexpected happens in your day that dramatically changes your perspective on whatever it is that you were focusing on. What’s key for any system to work well over a long period of time is to have a healthy balance of both types of quality–to have elements of static quality and elements of dynamic quality working together. Here’s how Pirsig describes that, in the context of two different fields: science and politics. “That’s the whole thing: to obtain static and Dynamic Quality simultaneously. If you don’t have the static patterns of scientific knowledge to build upon you’re back with the cave man. But if you don’t have the freedom to change those patterns you’re blocked from any further growth. You can probably identify at least one, if not many, areas in your life, both personal and professional, where these types of static and dynamic patterns are at play. For example, when getting my masters in teaching, I remember a question posed by one of my professors: how do you provide a stable environment day to day in your classroom structure and routines but also provide enough variability within that space for your students to not get bored. Before we get on with the next section, what to do about this dynamic – I would love to hear where that static / dynamic relationship feels most relevant to your right now – maybe where it feels most off, where it’s leaning too far in the dynamic direction or too far in the static direction. If something’s coming to mind, drop me a comment here. I’m curious to see other specific examples of how it’s playing out in the lives of real people right now. 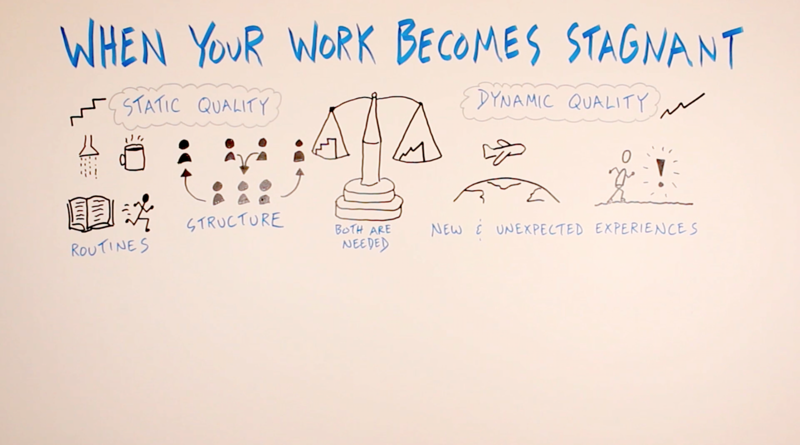 With that, let’s now turn our attention to what you do about the specific question that prompted this video: what to do when your work begins to feel stagnant. In other words, what do you do when there’s too much static quality and not enough dynamic quality in your work. Posing the question that way points us to the answer: you’ve got to change something up! Here are three ways in which you can do that – three categories of things that you might change in order to infuse your creative work with a bit more dynamic quality. First, consider the materials that you use to do your work. Maybe you’ve been using the same materials for a bit too long and are ready to try something new. 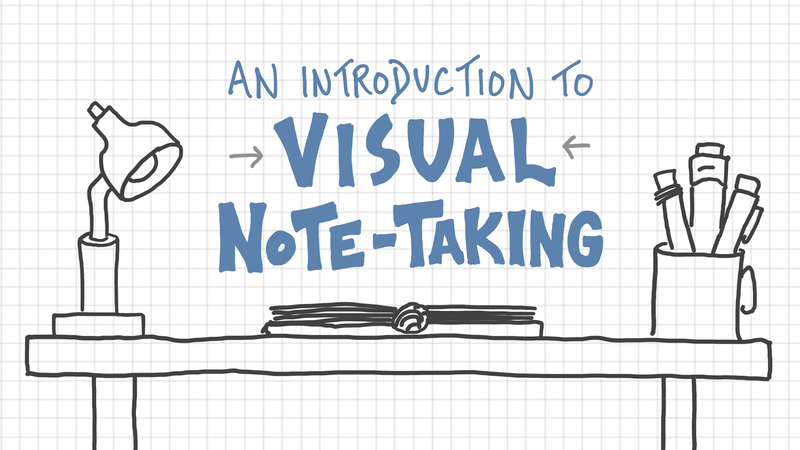 For visual note-takers, if you’ve been sticking with analog tools maybe give a digital note-taking tool a try. If you’ve been working small-scale in notebooks, try working large-scale with poster paper. If you’ve had one go-to pen, put that in the drawer for a few days and pull out a new marker that you haven’t tried yet. You might also consider changing up your process in some way. Again, let’s use sketchnoting as our example. If you’ve been sitting down at a desk, try standing up and working on the wall. If you’ve been working at home try working from a coffee shop. If you’ve been using a very structured approach to filling the page, try something a bit more organic. If you’ve been heavy on the drawing side, try focusing instead on the words you choose to capture rather than the images. If you’ve been sticking with black and white notes, try infusing some color. And finally, take a look at the source of your creative work. For sketchnoters, this is the information source that you’re taking in and capturing in a visual way. If you’ve been sketchnoting the same three podcasts for months, go seek out some new ones, or give podcasts a break and pick up a book instead, or maybe even make it out to a live event. If you’ve only been capturing the ideas of other people, try using sketchnoting as a tool to capture your own ideas. If you’ve only been using sketchnoting as a personal learning tool, try out using it as a storytelling tool to help you communicate your ideas effectively with others, or a problem-solving tool when you’re trying to wrap your head around a current challenge. While I do agree that it’s useful to get comfortable with your go-to set of materials, your go-to process, and your go-to source of ideas, I also think it’s worthwhile to try something new from time to time. 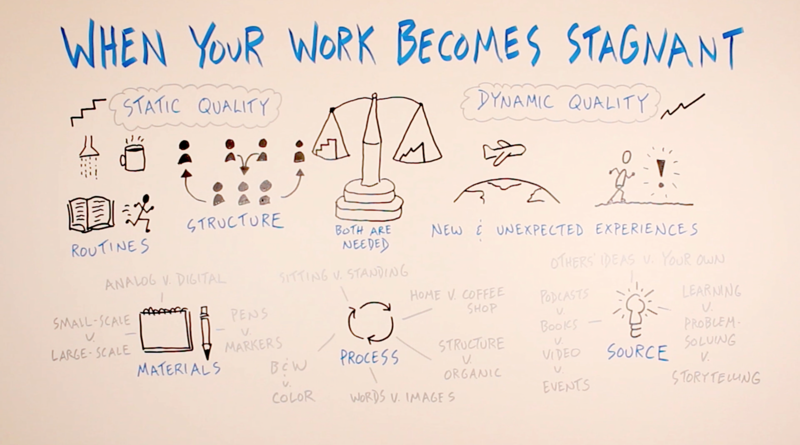 That’s the balance of static quality and dynamic quality that leads to positive evolution in your creative work. So, as a follow-up to this video, I encourage you to step back and look at your work from the perspective of static and dynamic quality. Based on what you see, add a bit of helpful variation to your work in a place where it’s needed, and maybe also add some foundational structure in those places where you could use a bit more stability. Good luck as you seek out the right balance of static and dynamic quality in your life and work.